Walking through the mall with my 12-year-old daughter was quite surreal. The mall itself seemed frozen in time, a replica of something you would see in the 80's. The stores were flashbacks from when I was a preteen: Dillard’s, Macy’s and even those Auntie Anne’s pretzels that taste so heavenly. Most of our malls here in South Florida are super fancy outdoor plazas with the newest and hottest stores, but this mall was like walking into a time warp. When I was younger, I always wished I’d grow up to have a daughter I could take shopping and get our nails done, total girly stuff I missed out on with my own mother. As Vanessa walked alongside me, I realized how much she’d grown over the past year. Gone were the days of Barbies. Now she wanted to spend her money on clothes and accessories, hence the trip to the mall to fill up her closet. All of a sudden, we found ourselves in front of the Yankee Candle store. I hadn’t shopped in one for years, ever since they discontinued my favorite scent of Cranberry Peppermint. In the old days, I had every Cranberry Peppermint product in the lineup, the candles and the clips for your car and the kind you plug into the wall at home. It was my favorite smell in the world, and I wanted it to surround me at all times. To be fair, the candle doesn’t really smell much like cranberry or peppermint. My daughter Vanessa thinks it smells like grapes, and that’s a pretty close observation; however, to me it smells like freedom and promise. It takes me back to a certain time in my life when I was rebuilding myself into the woman I wanted to be, before I took a sharp turn into darkness that lasted for years. When I first discovered the candle, I was fresh from a divorce from my husband of sixteen years and fresh out of self-esteem. I only existed as an extension of my husband and did not know who I was without him. We sold our dream house and split the money, and I bought myself a townhouse that was my pride and joy. I’d never owned anything by myself before, and I was proud of myself for beginning a new life on my own. That was before the bad stuff happened, the part where I let a manipulative narcissist take over my life and lost everything I’d gained in the process. He blew through my money to the extent that I couldn’t afford to buy candles or much of anything else. I ended up running away from the gorgeous townhouse I owned and leaving him inside to trash every last room of it. Life became about basic survival, and I had to leave everything behind to get away from him and start from scratch. He followed me relentlessly because he intertwined his survival with mine, convincing me I could no longer make it on my own even though I’d been doing it before he came along. The harassment continued until his untimely and accidental death, which I mourned and yet celebrated my freedom. Maybe I couldn’t get back all the things I’d lost, but I still had myself and was willing to fight. My Cranberry Peppermint candle was discontinued a few years ago. I looked but couldn’t even find it online. Standing in front of the store, I wondered if by some magic they brought it back even though I hadn’t seen or smelled it for years. Vanessa and I entered the crowded store, and I made a beeline for a salesperson. There was no other candle I wanted other than my beloved one, and I didn’t even stop to look around at anything else. I asked the girl in the apron if there was any possibility my favorite scent might have come back. That was all I needed to hear. The salesgirl pointed out the solitary candle, and I snatched it up and headed for the register. Cranberry Peppermint was back in my life, and I felt overjoyed. Vanessa eyed me skeptically for making such a big deal about a silly candle. I had trouble finding words to explain what it meant to me. It’s a story for when she’s older and searching to find herself. Is It Wrong To Love A Candle? 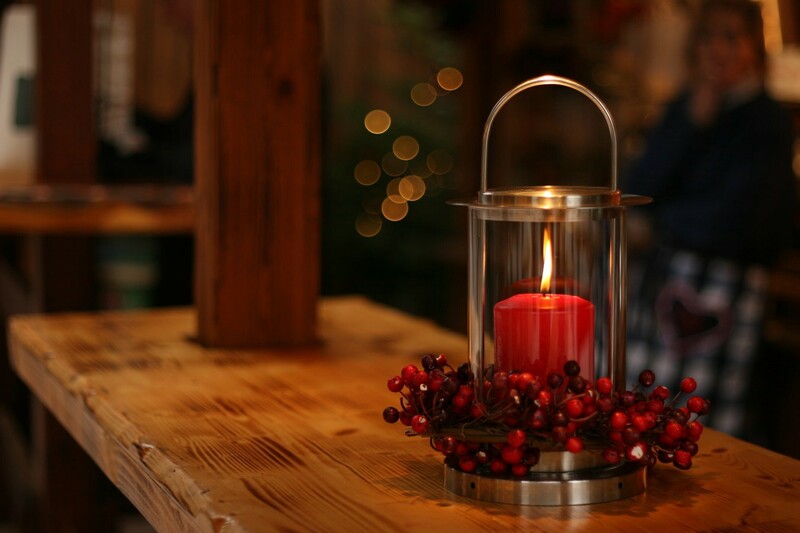 When we returned home, I immediately lit my candle and placed it on the dining room table, inhaling the wonderful aroma I loved so much that quickly filled up the house. I’ve lit that candle every day since. It takes me back to a time of self-discovery and reminds me of how much I've gained since then. Everything had come full circle. The candle is lit right now, sitting beside me as I write this. It smells like heaven and transports me back to the first days of being on my own, but it also reminds me how much I’ve learned and grown over the years. It was the perfect time for the candle to come back into my life. I realize it may sound odd to have such warm feelings for an inanimate object, but what the candle represents is far greater than any smell could ever be. I’m not the same person I used to be when I first discovered it. I’m happier and more self-aware and actually feel love for myself after hating myself for the longest time. The smell of the candle ties it all together, my past and my future. Maybe the candle doesn’t really have magical healing powers, but it’s brought a little magic in my life to heal myself.